Groundwater is the most important source of potable water in Uganda providing about 80% of the water supply. It is particularly important in rural areas where- deep boreholes and shallow wells serve 63% of the population with access to safe water. Protected springs are used by 26% of the population. Making up at least 5% of the earth’s crust, iron is a troublesome element in water supply. The underlying geologic formations, dissolves iron as rainwater infiltrates soil, causing iron to seep into aquifers that serve as sources of groundwater for wells. 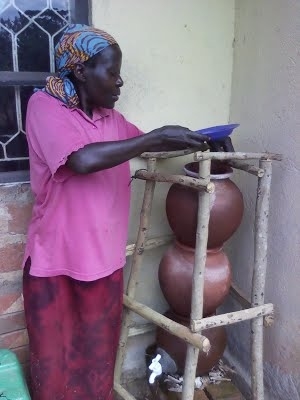 Uganda is one of the countries with very high iron concentration in some parts up to about 50mg/l.It produces insoluble rusty oxide-red, yellow or brown which stain and streak on laundry and plumbing fixtures. Iron passing into the distribution system may promote the growth of micro-organisms. Presence of iron in water contributes to turbidity and increases maintenance costs. Hesham M. El-Naggar (2010); Das, et al (2007) and Jusoh, et al (2005).